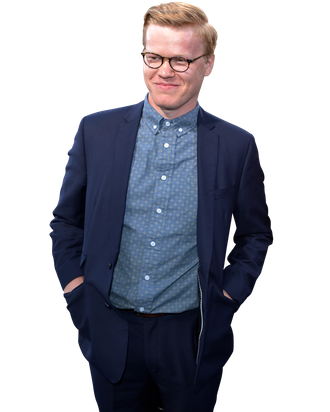 Before Sunday night, to most television viewers, Jesse Plemons was Landry Clarke, the accidental murderer on Friday Night Lights. But after last week’s episode of Breaking Bad, [spoiler alert] he now occupies a special place in television lore: unrepentant child killer. Vulture talked to the native Texan about becoming the most hated person on the small screen, being a Matt Damon doppelgänger, and getting flack for the FNL pipe murder. You are now one of the most evil people on television. How does that feel? It’s still pretty fresh. It was fun getting all of the shocked messages and whatnot. I put my phone down and kind of forgot that it was airing and then went back to it and there was like twenty different text messages from people just freaking out. What did you think when you read about the shooting in the script? I was just shocked, stunned. And then immediately following, was like, Wow, what’s going on here … trying to turn every stone and decide where everything’s coming from. I had only seen the two scripts that I was in. I really didn’t have anything to base anything off of. I talked to Vince briefly, just kind of getting an idea about the character, but didn’t really know anything. And so I just kind of had to figure it out. Up to that point, what direction did you think your character was going in? Some people actually thought he might be undercover, but now that’s obviously not the case. That’s obviously not the case. You know, doing something like that [shooting the kid], that wasn’t discussed. You know, Walt and the gang don’t take too kindly to people just kinda making decisions without them, so the next episode is — it was a lot of fun pleading his case. But yeah, that’s the fun thing about the show: We’re just going to have to wait and see. There was some grumbling about how impossible it was that these guys would know how to take all these things off the train and do this stuff so fast. Was there any discussion offscreen about how your characters would actually know how to pull this off? Well, we definitely wanted it to look rehearsed, you know? It’s something that they, at that point, had gone through the steps time and time again, until it was down. I mean, it’s out there. It’s definitely out there. For sure when we were filming it, I was like, I don’t know, this is crazy. But if anyone could do it, I was like, Walt can pull it off. Were you watching Breaking Bad before you came onto it? One of our readers, w0rryw0rt, wants to know. No. It had been in my Netflix recommendations for a really long time, and I hadn’t watched it, and then I watched three or four episodes [before] the audition and really, really liked it. And then I got the part and went to Albuquerque, and was either on set filming or just watching and freaking out in my hotel room. Another reader points out that you seem to have a propensity now for playing characters who kill. In Friday Night Lights, you accidentally beat a guy to death with a pipe. And now this. How do you think you’ve become the guy who plays that guy? It’s always the unexpected guy. It’s not like, “Oh, he’s the guy that shoots people.” It’s like, “He’s the guy that you would not expect to shoot someone.” I don’t know. It was just coincidence, I guess. In terms of Friday Night Lights, people pick on that moment with your character as being one of the more over-the-top story lines on the show. Do you get that a lot? Do you agree? You are playing the son of Philip Seymour Hoffman’s character in The Master. It’s ostensibly a movie that’s about Scientology, but no one is referring to it that way. How do you talk about this movie without talking about Scientology? I really don’t think it’s about Scientology. I mean, my take on it is — it tells this strange relationship between Hoffman’s character and Joaquin Phoenix’s character. That to me seems to be the takeaway. I still haven’t seen the movie, so I can’t speak too much on it. I think I’m gonna see it sometime this week. You get a lot of comparisons to Matt Damon. The reader Gregwlocke wants to know if you look in the mirror and say, “Hello, Matt Damon”? If not, have you ever been mistaken for him? One time, I just happened to be at the Toronto Film Festival. We were at some hotel and we were getting on the elevator and I think he had some movie that was at the film festival. There was this lady that was staring at me and she walked up and said, “Are you Matt Damon?” I was like, “No, no, I‘m not.” And then she just stared at me like she didn’t believe me. She was kind of like, “Matt Damon just lied to me.” She was so hurt by the fact that I wasn’t him. She was so convinced.